Our founder, a lifelong outdoorsman, was a self-described conservationist long before it was popular. Over 100 years later, we’re still committed to environmental stewardship in everything we do. Here are some of the steps we’re taking to minimize our impact on the environment. 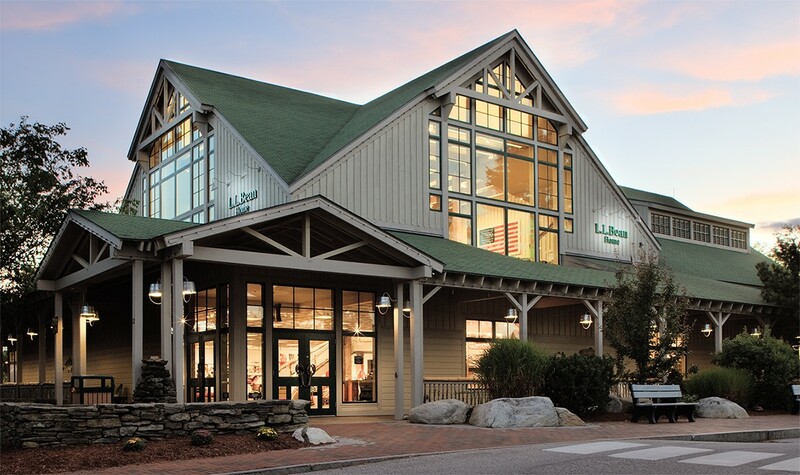 More than a decade ago, L.L.Bean committed to building all new structures according to the US Green Building Council’s Leadership in Energy and Environmental Design (LEED) building rating system. Today, 20 of our stores and facilities are built to LEED standards, including several Gold- and Silver-rated buildings. Our conservation efforts aren’t limited to our stores. At our corporate headquarters in Freeport, Maine, we recycle 88% of our solid waste and maintain a robust composting program. Energy sensors, low-flow fixtures and Energy Star computers and appliances all help us save energy. We use biodiesel fuel in our heavy-duty truck fleet, and we’ve been heating all the water at our corporate offices with solar power for more than 35 years. By taking an active role in how we procure paper, we can have a positive impact on resource use and forest management. We meet annually with our paper suppliers to review their fiber procurement and pollution prevention processes. All the paper used for our catalog pages is certified to the Program for Endorsement of Forest Certification (PEFC) standard for sustainability. Additionally, we use recycled content in our office paper and product packaging, including corporate stationery, copier and printer paper, and corrugated cardboard boxes. We are committed to using a minimum of 30% recycled post-consumer waste.